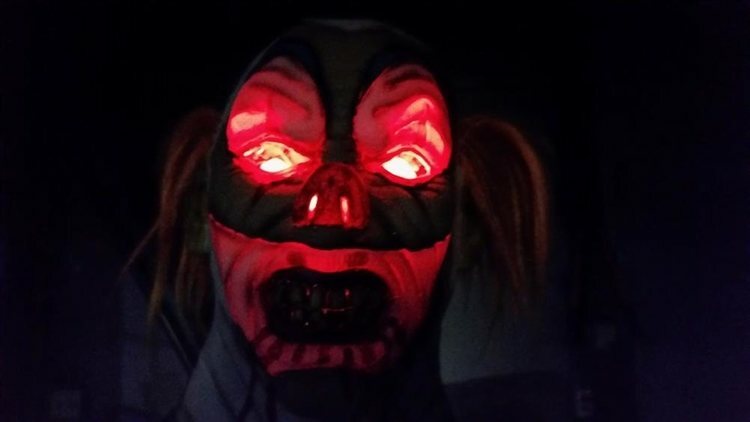 IndianaHauntedHouses.com recently sat down with Cheryl Moore Shireman of The Haunting at Shireman Homestead, to discuss what's new at the attraction for the 2018 Halloween Season! Located in Columbus, this haunted attraction is sure to get your heart pounding and your blood flowing! Read below to find out what's in store for this year. What's new at The Haunting at Shireman Homestead for 2018? Do you have any new rides, attractions, or special features that Haunt Seekers should know about? The Haunting is exciting with real horses in scenes, fire flames, and a collapsed 160 foot long mine shaft! Our Shireman Homestead The Haunting is all about great times with family and friends and making memories forever. What differentiates The Haunting at Shireman Homestead from other local haunts in Indiana? The Haunt is an outdoor trail with inside amazements including the western town, mine, fun house, and also the real horses and riders. How long has The Haunting at Shireman Homestead been in business? Can you tell us a bit more about The Haunting at Shireman Homestead's history? Shireman Homestead is a working farm that has been here since around 1913. The Haunting has had 10 years of hauntings. What's your favorite experience since opening The Haunting at Shireman Homestead? The favorite experience of Shireman Homestead The Haunting has been our visitors because of the many different age groups. The interaction with farm country and farm animals. How long is a typical haunt experience at The Haunting at Shireman Homestead from start to finish? At The Haunting you can expect to take a journey for about forty five minutes with a tractor ride included at the end. On a scale from 1 to 10, how scary would you say The Haunting at Shireman Homestead is? Why? On a scale of scariness everyone has a difference of opinions, we would say approximately a 6 to 8 just depending on what is your greatest fear because you will find darkness, things that jump out in the night, and a creepy mine. Does The Haunting at Shireman Homestead's property have any real haunted history? Do you have a spooky encounter you'd like to share? There was a farm hand named George that had lived at the farm long ago in the early 1900's that had passed away. Long after parting from this world all you leave behind is what you did while you were here so what could be any better than creating the farm of memories that lives on forever and that is the best part of this business. How has new technology (i.e. animatronics, special props, etc) helped you to enhance The Haunting at Shireman Homestead? Living on our farm and having a farm life to be able to add those special fire effects and sensors and many other types of new technology gives the feel of the old days with an added twist of wow for now and the future. Can The Haunting at Shireman Homestead accommodate large groups? How many people can experience The Haunting at Shireman Homestead together as a group? The Haunting can accommodate large groups easily with lots of free parking easy signs ins at ticket the booth. Any size of groups are Welcome even ten or more at a time but it is encouraged that groups of six or so might get a better view. Does The Haunting at Shireman Homestead offer any special deals, discounts, or coupons? Special discounts can be found posted at our ticket booth. Anything else you'd like to let us know about The Haunting at Shireman Homestead? Our farm is a non for profit that has made over one hundred and twelve different visits just this last year to many assisted living, nursing homes, schools, churches and other places with our farm animals. The barn friends have unconditional Love to share and we Thank everyone for your visits.